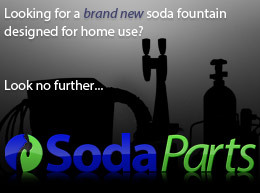 REMANUFACTURED portable water system. 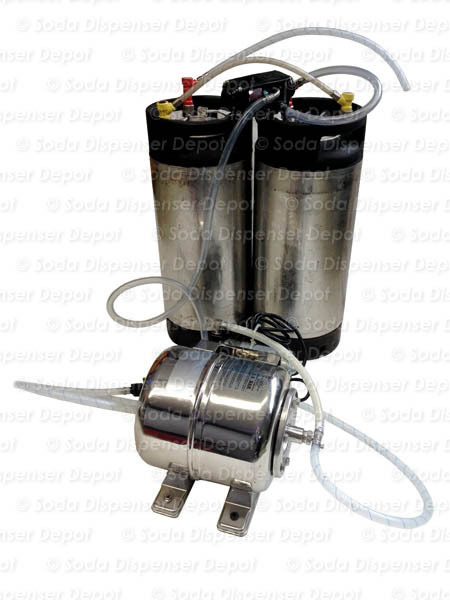 This system allows you to have a portable water supply, which is ideal for concession carts and trailers. 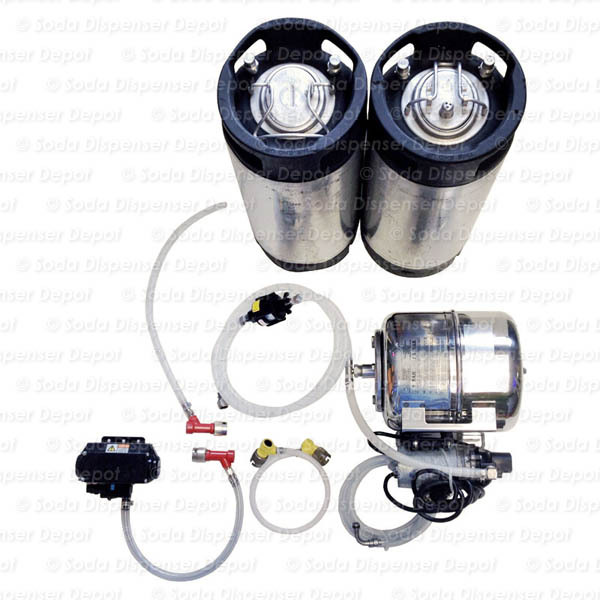 System includes: water pump, two (2) 5-gallon water storage cans, new water booster, water regulator, keg jumper, vent hose, keg connectors, CO2 hose and water hose. This is a REMANUFACTURED item. The components were previously used so they may have minor dings and scratches due to normal use.